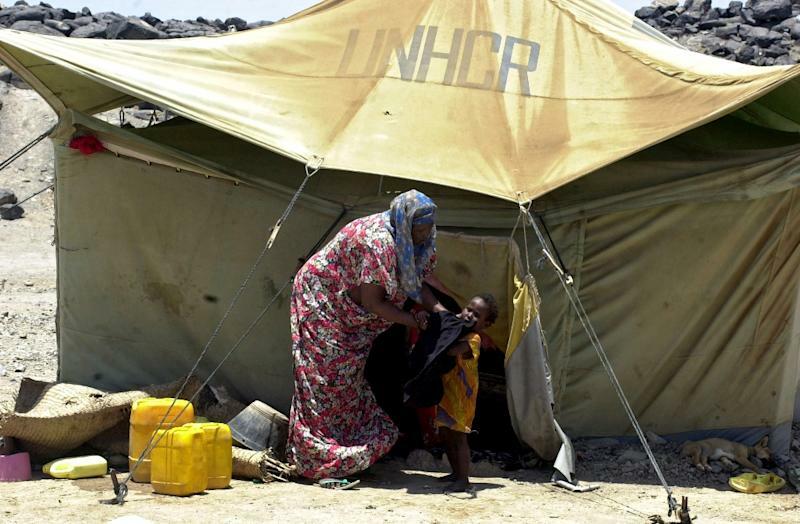 Geneva (AFP) - Nearly 100,000 Ethiopians and Somalis last year travelled by boat to Yemen despite the conflict raging there, the UN said Tuesday, warning about the dangers of the journey. "Clearly it's extremely dangerous, both for the journey and for what they meet inside Yemen," UN refugee agency spokesman Adrian Edwards told AFP. His warning came less than two weeks after 36 people drowned trying to reach Yemen on January 8. Ninety-five people meanwhile were reported drowned trying to make the journey last year, making it the second deadliest year recorded to date on that route, Edwards said. The high death toll reflects the large numbers still trying to reach Yemen, even as the country has collapsed into a brutal civil war. According to the latest UNHCR data, 92,446 people arrived in Yemen by boat last year -- a full two-thirds of them since the conflict in the country escalated dramatically in March. That marks one of the highest annual totals in more than a decade, UNHCR said. Nearly 90 percent of the arrivals, 82,268, were from Ethiopia, while the remainder were Somalis, it added. Edwards described the figures as "disturbing", lamenting that "people still seem to be uninformed about the severity of the situation in Yemen." Some 6,000 people -- around half of them civilians -- have been killed in Yemen since conflict there escalated last March with the start of a Saudi-led bombing campaign against rebels, according to UN numbers. More than 2.5 million others have become internally displaced and another 168,000 have fled Yemen since March, the UN said. Edwards said smugglers were clearly organising the boatloads of people headed to the war-torn country and suggested the information they had and were sharing about the situation on the ground was not completely accurate. "People continue to arrive despite unprecedented escalated internal conflict in Yemen, and tragically more people continue to lose their lives trying to cross the sea in overcrowded, unseaworthy boats," Edwards told reporters in Geneva. In the incident on January 8, 106 people had been on a boat heading for Yemen when it ran into difficulties, Edwards said, quoting information from Somaliland authorities. There were 70 survivors -- all but one of whom was Ethiopian Oromo -- and 36 people perished, he said.